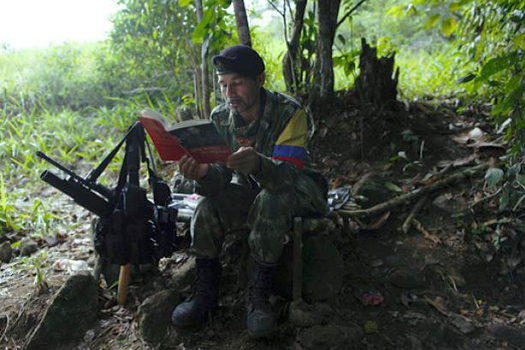 BOGOTÁ, NEW YORK, March 29, 2016 – In a new briefing paper, the ICTJ addresses one of the crucial points of the peace negotiations between the Government of Colombia and the Revolutionary Armed Forces of Colombia-People’s Army (FARC-EP): the possibility of providing recourse to the broadest amnesty possible and pardons as part of the treatment of the different crimes committed in the framework of more than fifty years of armed conflict. The agreement on the Special Jurisdiction for Peace (JEP, for its initials in Spanish), announced by the negotiating parties in December 2015, establishes the creation of a complex judicial system with the objective of establishing criminal responsibility for crimes committed during and in the framework of the conflict. As part of that structure, the JEP agreement calls for the creation of an Amnesty and Pardons Chamber. “International law provides for amnesties under certain conditions. Provided that amnesty is applied with transparency and clarity, and with strict respect for the limits established by international law, it is a valid instrument for the reintegration of insurgent forces into society. Therefore, it can be an appropriate and acceptable resource for the legal resolution of crimes committed in the framework of the armed conflict,” stated David Tolbert, President of the ICTJ. The consideration of the FARC-EP as a political actor that has taken up arms against the State, rather than as a common criminal, has political and legal implications. Therefore, part of its criminal conduct would be incorporated, in accordance with Colombian law, in the category of “political crimes,” which would be considered eligible for amnesty. The agreement points to the need to clearly determine which crimes would be eligible for amnesty and which would not, and it emphasizes the importance of precisely defining the criteria of connection with political crimes. Although the text of the agreement includes some criteria for defining this connectivity, and provides other elements for the application of the system, numerous elements are still to be defined and clarified. The agreement refers to a future amnesty law in which all of the pending details will be determined and specified. In its new briefing paper, the ICTJ offers some considerations that may contribute to the conceptualization and development of the future amnesty law and, therefore, to the effective implementation of the Special Jurisdiction for Peace. “The implementation of the justice component of the Havana Agreements reached by the Colombian Government and the FARC-EP requires considerable legislative development that will, principally, offer a clear and transparent system to the victims and Colombian society, as well as an equitable procedure devoid of uncertainties for those responsible for crimes that will fall within the jurisdiction of the JEP,” emphasized Fernando Travesí, ICTJ Deputy Program Director and co-author of the briefing paper. The ICTJ proposes in this document a series of approaches for the legal and normative characterization of the crimes committed in the framework of the armed conflict, in order to establish which crimes could be subject to amnesty or pardon.